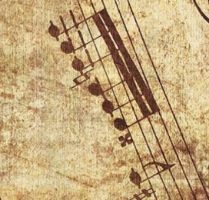 Contemporary work on music perception embraces a variety of disciplines and methodologies, from anthropology to musicology to neuroscience, to try to understand the relationship between music and the human mind. Researchers use motion capture systems to record people’s movements as they dance, analyzing the gestures’ relationship to the accompanying sound. They use eye tracking to measure changes in infants’ attentiveness as musical features or contexts vary. They place electrodes on the scalp to measure changes in electrical activity, or use neuroimaging to make inferences about the neural processes that underlie diverse types of musical experiences, from jazz improvisation to trance-like states to simply feeling a beat.